Please look at the examples below and review your own draw at the finish or that of your crew. Anthony Edwards, 5 times Olympic athlete demonstrates a couple of common issues. It is important to have the wrists flat and the forearms horizontal at the finish in order to have the body with the correct posture and the hands ready to feather correctly. Simply finish with the arms in an even style, don't wrench the finish, simply carry the boat speed created by the leg and body drive. ​​As you can see here Eddy has his elbows close to the body just before the finish. This means that the wrists need to be cocked up and feathering will be an issue. 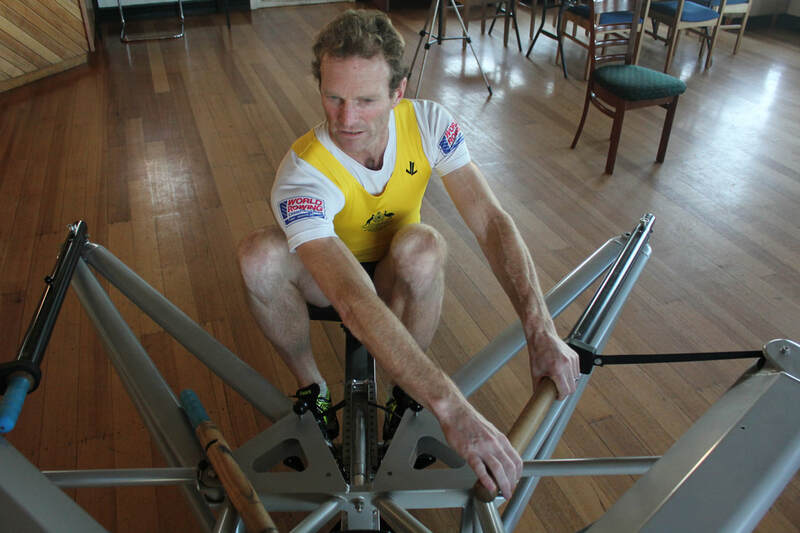 Additionally it is hard to pull the oar handle through to the finish as to do that you need the elbows out. To then tap down correctly is a problem. Very easily corrected, simply allow the elbows to move naturally out with the rotation of the oar around the pin (gate). The issue here is largely one of the body being over tense. If the athlete is tense then it is difficult to complete a relaxed finish. this tenseness here is reflected in Eddy having an uneven finish. It is very difficult to complete the finish in an even, relaxed manner if you have uneven pressure and shoulder position at the finish. The solution here is to be relaxed, apply the power with the legs and body and simply finish with the arms in an even style, don't wrench the finish, simply carry the boat speed created by the leg and body drive.